Here is a simple toy that I just made for LMNOP Magazine. 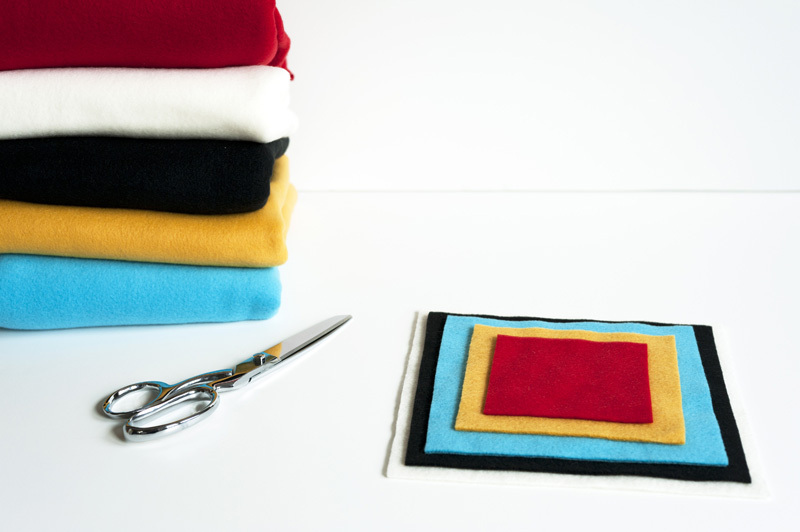 It’s a no-sew, fleece version of my Play Squares for Babies.Â Making them takes only minutes, and an older child could even make them as a gift for a baby. 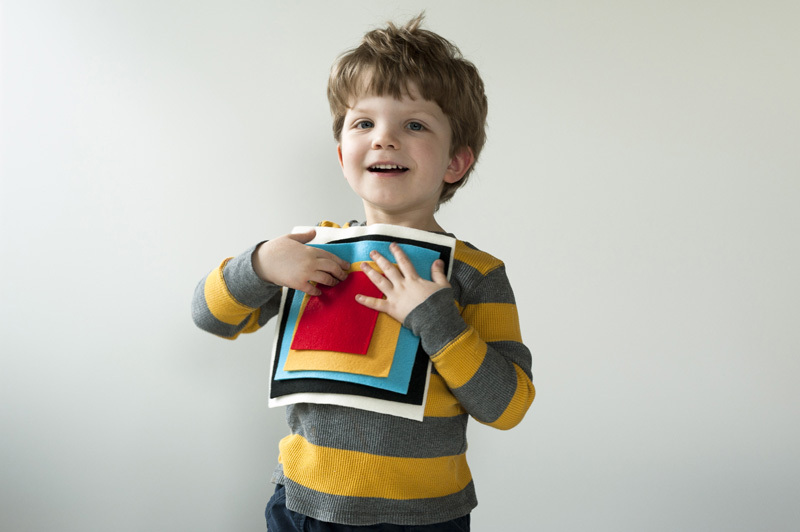 All you need is some fleece (felt would also work) and some scissors, then just cut out different sizes of squares. 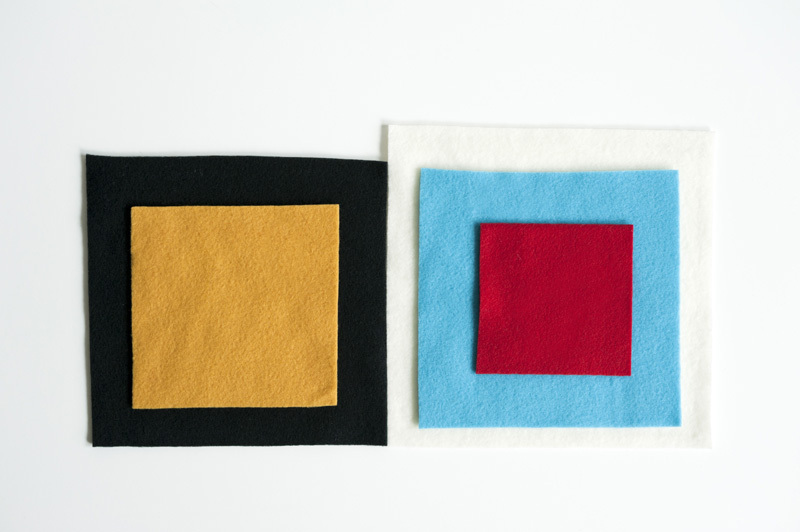 When the squares are placed on top of each other, they gently stick together because of the nature of the fabric. My 4 year old son even had fun making a variety of designs with them for awhile. Now I want to cut out some different shapes and colors to make more complex designs. 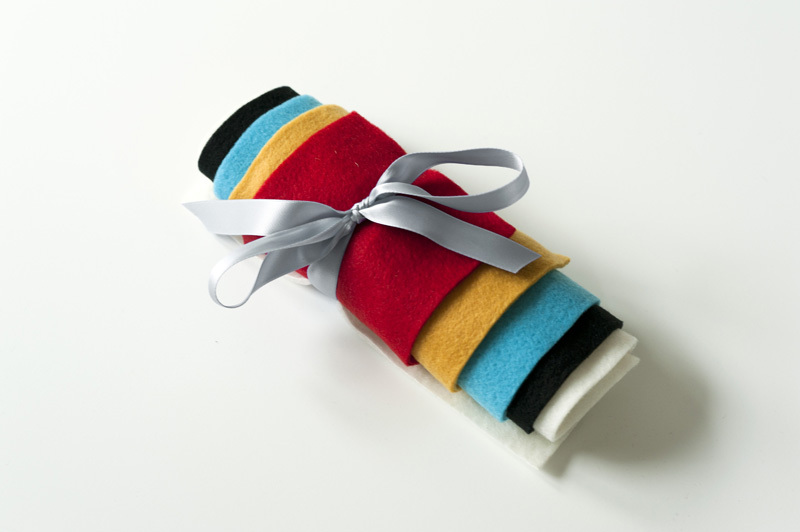 So get some colorful pieces of fleece or felt and start creating! And feel free to post your versions on the Made by Joel Facebook Page! Oui c'est super, les bÃ©bÃ©s adorent ! your posts are always a joy to receive! rolling rabbit toy, yesterday after school. Ruby! like always he loved your video. tunes on Garage Band... like he does. total happiness to you and yours, joel! I made this for my daughter who is 16 months old and she LOVES it. We even got a little pouch to put them in and they are great toys to travel with. cristina - Those play quilts are awesome! I've been wanting to try something like that! And yes, I mostly use GarageBand for my music. It's so simple and fun to use. Cool! Victoria - I just left a comment on your blog. Your shoe insert toys are genius, and your artwork on them is perfect! Wow! Sounds like a great idea!. Also so your child soak in your art and way of doing. this craft just saved our afternoon ! 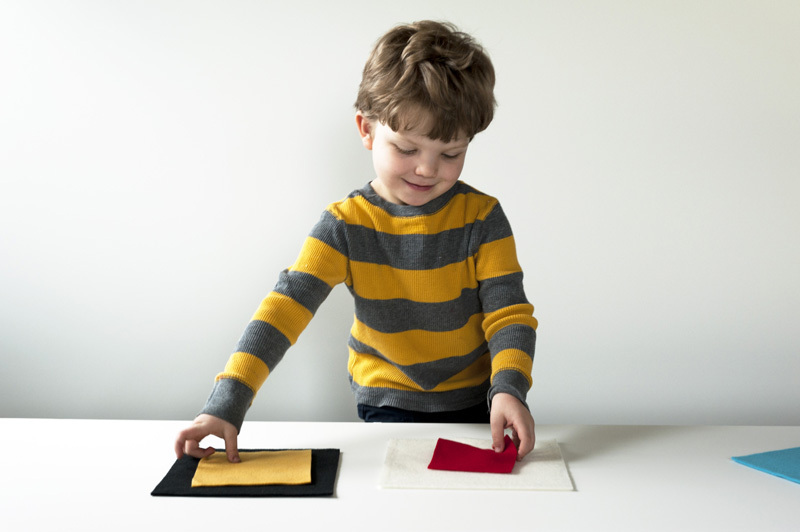 I've made different shapes in different colors, so we can make some drawings with them. my almost 2y old loves it !